Subodh V. Sharma is an Assistant Professor in the Department of Computer Science and Engineering at IIT Delhi, India. He completed a Ph.D. in Computer Science from the University of Utah in 2012. Before joining IIT Delhi, he was a Research Scientist at the Systems Verification Lab in the Department of Computer Science at Oxford University (2012-2015). His primary research interest is in the area of formal verification and its application to establishing systems' security and reliability. 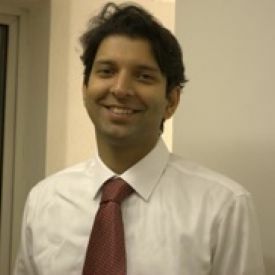 He has been a co-investigator on some of the recent studies on Aadhaar (a Government of India initiative and the world's largest unique identity project) security architecture and is actively pursuing research in verification and application of Blockchains for security and privacy.